Buying a plug-in hybrid does not mean giving up on driving excitement – at least if you elect one of Porsche’s plug-ins. 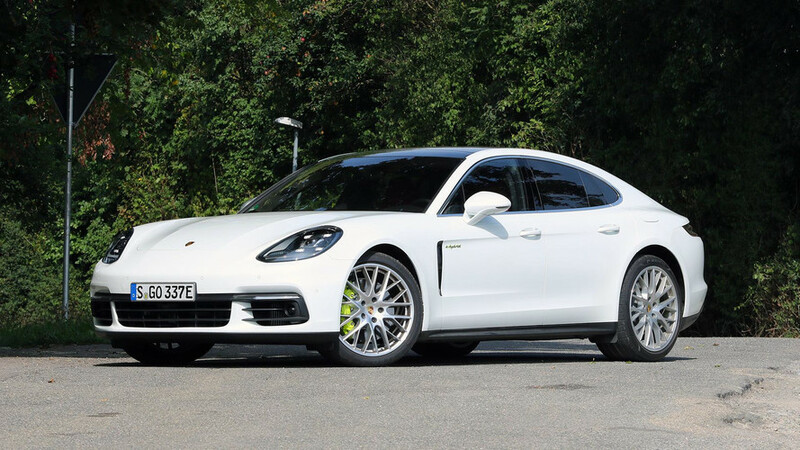 We’ve already detailed the furious performance of the Panamera Turbo S E-Hybrid, but Porsche is also fitting its Panamera with a lesser-powered fuel-saving powertrain called the 4 E-Hybrid. It combines a biturbocharged V6 engine with an electric motor and lithium-ion battery pack, providing all-electric mobility while also boosting output to a healthy 462 horsepower and 516 pound-feet of torque – gains of 132 hp and 185 lb-ft over the base car. Though U.S. economy figures haven’t been finalized, the car is rated for 31 miles of all-electric driving under (often optimistic) European tests, yet it will still tear all the way to 172 miles per hour when given enough derestricted autobahn. 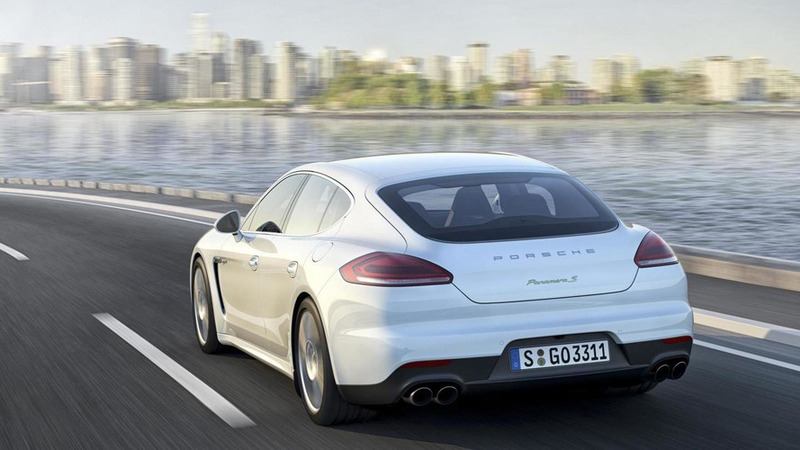 So, it’s quicker, faster, more powerful, and also more fuel efficient than the standard Panamera. And you thought hybrid cars were boring. It’s still fun to drive. Whether operating as a hybrid or in full-bore Sport+ mode, the Panamera is an absolute joy on everything from winding country roads to speed limit-free autobahns. A huge well of power awaits at just the merest nudge of your toe. The sprint to 60 mph clocks in at just 4.4 seconds, which is, by the way, as quick as Porsche’s 718 Boxster S and Cayman S. That’s also down by 0.8 second compared to the regular Panamera 4. Buttoned-down air suspension and quick, unerringly precise steering only improve the sensation. Seamless transitions. Unless you pay a lot of attention to the power-flow map on the infotainment system or the giant analog tachometer, it’s tough to tell which power source is being used. That’s a good thing: the Panamera’s powertrain makes no fuss about charging, using the battery, or combining the battery and engine for optimum power and efficiency. It just works, simply, smoothly, and quietly. Captivating cabin. A crisp, wide touchscreen. A sleek console with capacitive-touch buttons. Snug seats in gorgeous red leather. Impeccable wind- and road-noise insulation. 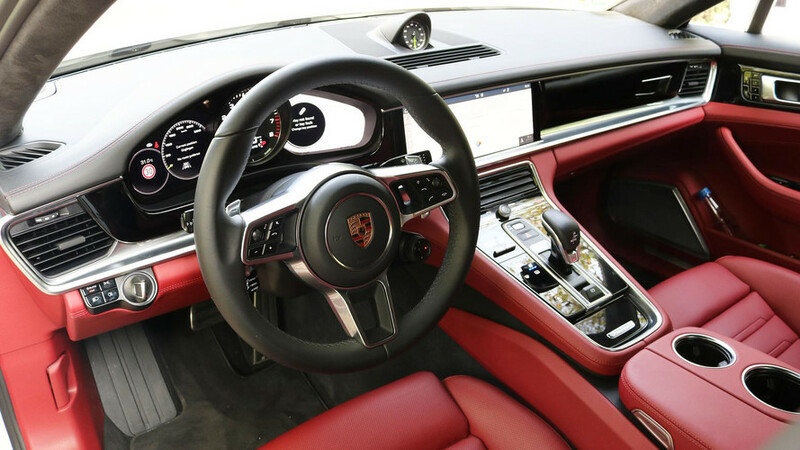 Simply put, the inside of the new Panamera is beautiful to behold, fantastic to operate, and a wonderful place to spend time, whether as a driver or as a passenger. It’s efficient. Again, U.S. figures aren’t ready, but the Panamera 4 E-Hybrid can easily cover short distances on electrical power alone. You might be able to commute to work without using a drop of gas, for instance, but still have the biturbo V6 on hand in case you want to take the long way home to blow off some steam. And even when the battery charge is depleted and the car operates as a traditional hybrid, expect it to be relatively easy on gas. Junk in the trunk. As is the case with any plug-in hybrid, the 4 E-Hybrid gains a fair bit of weight compared to its non-hybrid model. 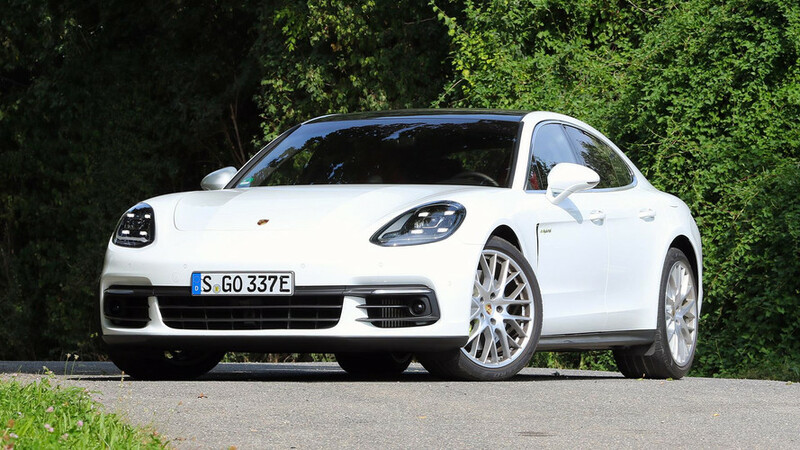 Porsche says the hybrid componentry (battery, motor, etc.) adds 595 pounds. 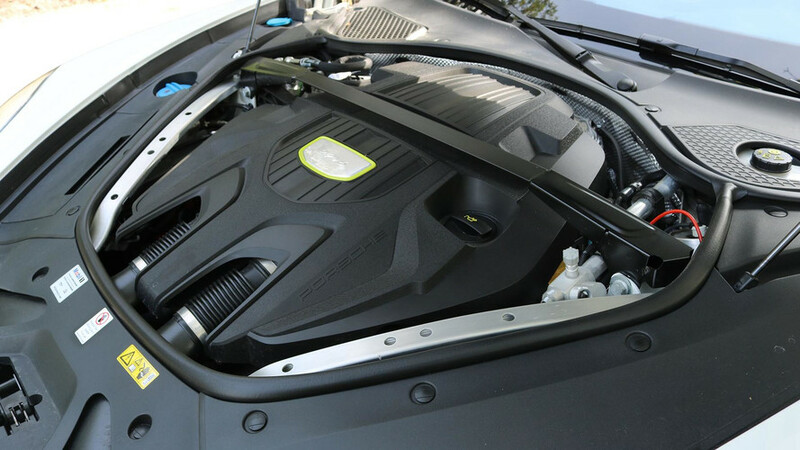 The upshot is that the added mass of the trunk-mounted lithium-ion pack actually improves weight distribution, shifting it to 49 percent front, 51 percent rear. That’s far more rear bias than non-hybrid Panameras, which can pay dividends for handling. Flashing lights. 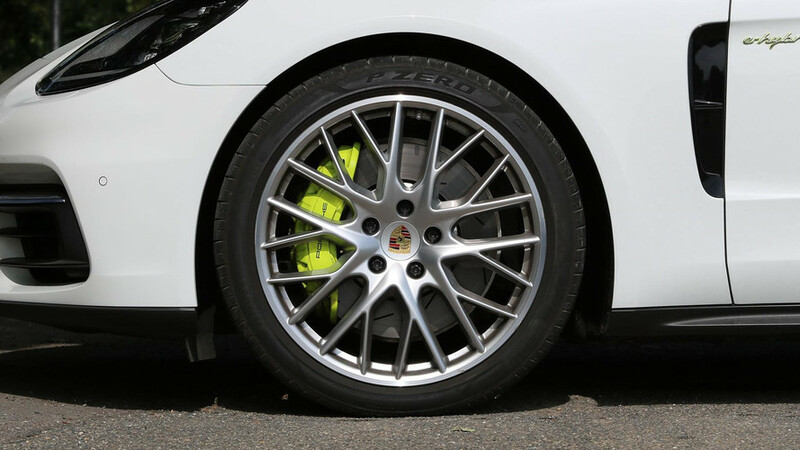 Like many hybrids, this Panamera induces its pilot to drive efficiently by way of various indicators for whether the battery is charging or being discharged. Yet in the 4 E-Hybrid, that’s done by way of bright-green LEDs arranged at the bottom of the tachometer. They look out of place in the otherwise ultra-sleek, ultra-modern cabin, and for the first few miles behind the wheel I found their constant blinking distracting. Mode overload. 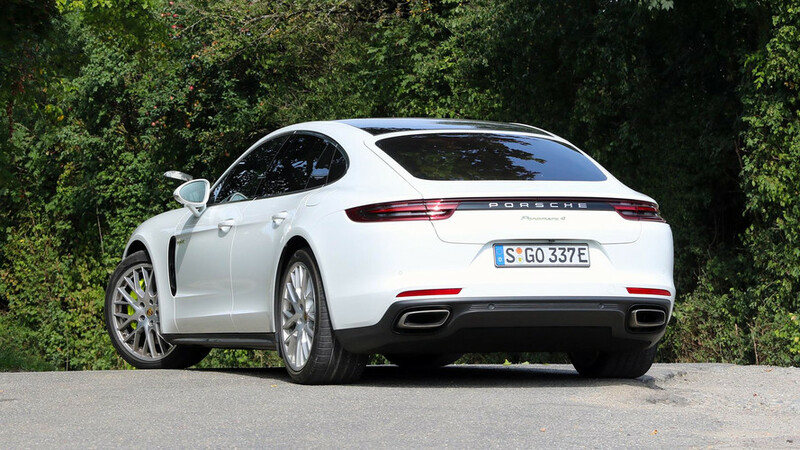 It’s handy to be able to pick just how the Panamera will balance its use of the electric motor and gasoline engine, but this 4 E-Hybrid feels like it offers more choices than I’d ever conceivably need. With E-Power, Hybrid Auto, E-Hold, E-Charge, Sport, and Sport Plus to choose from – as well as three settings for the air suspension and a sport mode for the dual-clutch gearbox – there are more configurations possible than I really want.